Kingfisher Bed and Breakfast, allows you to design your own experience around Dunedin and the Otago Peninsula. You can tailor make your holiday, with Kingfisher accommodation being at the heart of the Otago Peninsula; you can have an activity based holiday, or one of rest and relaxation. Kingfisher Bed and Breakfast have bicycles and kayaks available for those looking to make their own adventure. There are some good mountain biking opportunities in the area, and excellent horse trekking. Kingfisher B&B can even offer a paddock for horses. Kingfisher is in the heart of Otago Peninsula, with all its tourist attractions. 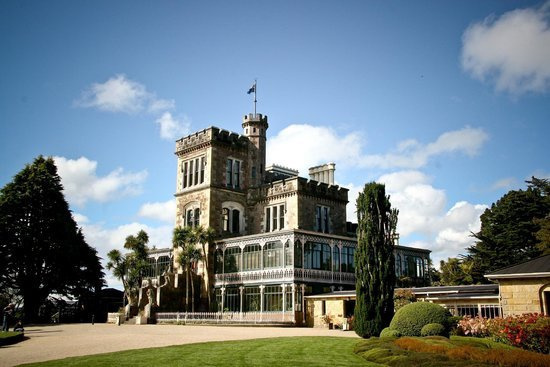 There are a number of tours available to all the best attractions that the Peninsula has to offer. Kingfisher Bed and Breakfast is in a unique location where it’s ideal for birdwatching. See all the amazing birds that are often visible from Kingfisher B&B. 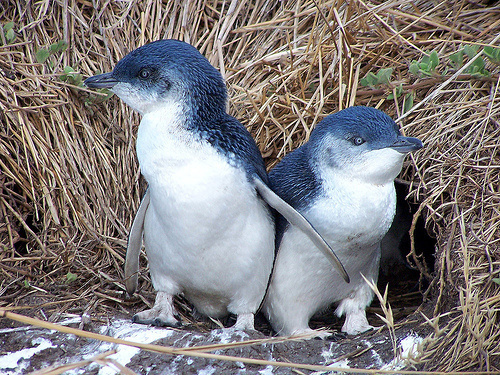 It’s also an ideal base to see some New Zealand’s (and the world’s) unique birdlife including the Royal Albatross, the world’s rarest penguin; the yellow eyed penguin, and the world’s smallest penguin; the little blue penguin. Otago Peninsula is also home to Sea lions and fur seals. At Kingfisher B&B Hoopers Inlet is right on your doorstep! There are kayaks that you can borrow to take out on the Inlet, just asks your hosts. It’s a great spot for photography, with well know photographic spots, and it’s also a well know spot to view and photograph Aurora Australis. Hoopers Inlet is a unique ecosystem with a wide range of New Zealand birdlife. There’s a wide array of walks in the heart of the Peninsula, with several on your doorstep. Walk to the top of Harbour Cone and take in the amazing views out across the Peninsula, over Otago Harbour and out to the Southern Pacific Ocean. Walk to Portobello village (just 20 minutes through bush) and grab a coffee. You could also take a quick drive to one of the many popular walks in the area, such as Allans Beach or Sandymount (which gives amazing clifftop views). Kingfisher B&B is in a great spot to access some of New Zealand’s best beaches and coastal wildlife. Sea lions and yellow eyed penguins (the rarest penguin in the world) frequent Allans beach and yellow eyed penguins can also be viewed at Sandfly Bay, along with fur seals and sea lions. Special wildlife such as sea lions and penguins frequent these beaches. Please respect their needs by keeping at least 10 m away from sleeping sea lions, and 20 m from active animals. 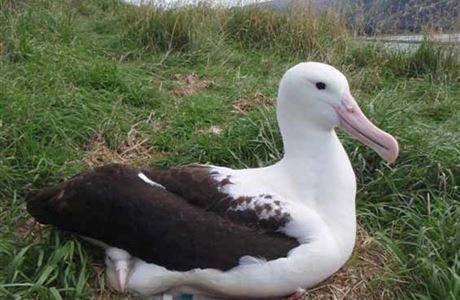 Visit the world’s only mainland breeding colony of Royal Albatross, visit the historic Fort Taiaroa and see the Little Blue Penguin colony at Pilots beach. The Royal Albatross are an amazing and magnificent bird! 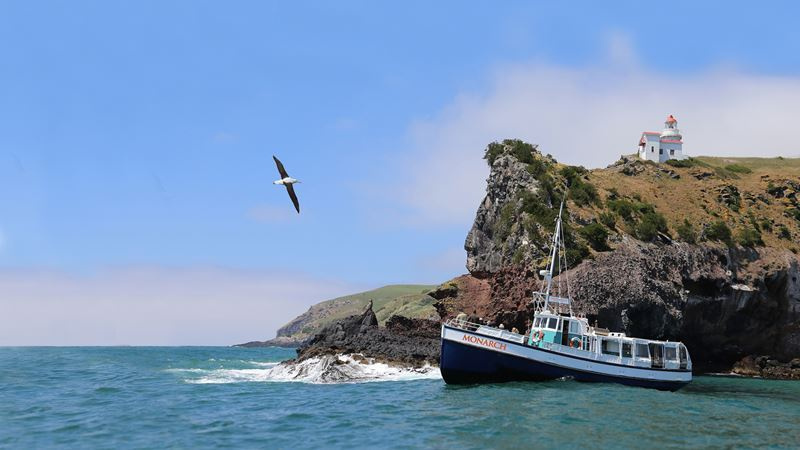 You can go on a tour that operates every evening from The Royal Albatross Centre to see the Little Blue Penguin at Taiaroa head. The tours take place at dusk and provide detailed information about the little blue and Otago Peninsula wildlife. Larnarch Castle is one of Dunedin's must see visitor attractions. You can visit the Castle and discover its scandalous and tragic history that dates back to 1871 as well as explore the beautiful gardens.